At Think Cooling, we’re among the best local air con providers. We have premium quality products and services fit for all your Palm Beach air conditioning needs. 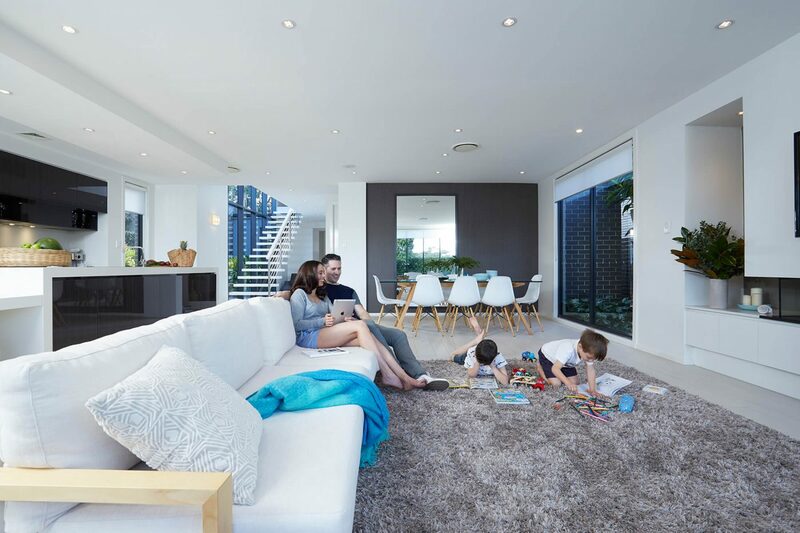 Homeowners deserve the very best air conditioning in Elanora, Palm Beach & surrounds. That’s why we are the top choice for all Gold Coast air conditioning installation and repair needs. Inland regions around the Gold Coast can struggle when it comes to adequate climate control. Developers in these parts need an AC company they can rely upon, and that’s why they also choose us. Why Choose Think Cooling for Palm Beach Air Conditioning? Most consumers in the Elanora and Palm Beach area want the same thing from their new AC system. They want the best possible product to suit their home, at the best price. That means a high-end, discrete system with the best technology – all without paying top dollar for the privilege. That is precisely what we provide here at Think Cooling. Furthermore, our top technicians and staff will help you with your choices and provide a friendly, flexible service. The end goal is always to match the right AC solution to the right home – all in a stress-free, professional manner. This is a region that has enjoyed fairly slow growth in the years between 2011 and 2016. Still, that doesn’t mean that this isn’t an area of great interest for any developers and homeowners. During this time, the population of Elanora went up 4.3% and Palm Beach saw something similar at 5%. There is no desire for major redevelopment, nor any shift in trends to make this a “fad” region. Instead, this is simply an established area with a strong population and family appeal. This means ongoing needs for simple family homes. New developments in Elanora could be in need of a top split system AC unit. These air con systems provide one of the most cost-effective ways to control the climate of a smaller apartment – especially those in inland areas. Developers looking to make the most of Elanora developments need to make sure that these new builds can handle the climate that comes from this inland area. Thankfully, there are lots of new products and solutions out there that can appeal to new buyers. Out team at Think Cooling will help you understand the different options available and find the best fit for your needs. The alternative here is to improve the AC in an existing property, such as a family home. Because growth here is so steady and gradual, this may be a better option for investors and families alike. An energy-efficient family home in the right part of Elanor could have more appeal than a new apartment complex. Again, the high heat in this inland region means a need for effective AC systems. Homeowners need quick relief across the whole property. This is why ducted systems are so effective in this scenario. Either way, Think Cooling experts can help you find the product that is best for your needs. The MyAir system is a great choice for many new builds of the right size. It works with ducted systems for family homes and provides a range of temperatures and settings in different rooms. Users can also benefit from the quick, professional installation – something not all Gold Coast air con providers offer. This is an energy efficient means of cooling, thanks to the motion and temperature sensors, and also helps to eliminate hot and cold spots. Furthermore, there is a home hub with an 8 or 10 inch touch screen panel and controls via smartphones for those on the go. We want to make sure that we provide something for everyone in our service. That means that we are just as keen to hear from all the homeowners in need of an upgrade as well as developers with exciting new builds. We are ready to take your calls and emails about all kinds of queries on products, installation and maintenance. Head over to our contact page to find a method that suits you. From there, our top Think Cooling specialists will arrange the ideal air conditioning Palm Beach solution for you.